Unlock the potential in your support team and realize the benefits that come from great customer support and effective IT service management! HelpMaster gives support teams the tools to deliver outstanding service and support, and is designed to work with, and scale for different levels of operational maturity. Use best-practice service management principles to manage incidents, problems, change requests, and create workflow for your business processes. HelpMaster changes the way people work. Optimize tasks, centralize work-queues, and provide complete visibility into all aspects of customer support and IT operations for your entire team. HelpMaster is priced to be affordable, and packed with features that scale to any size business, regardless of the process maturity level. 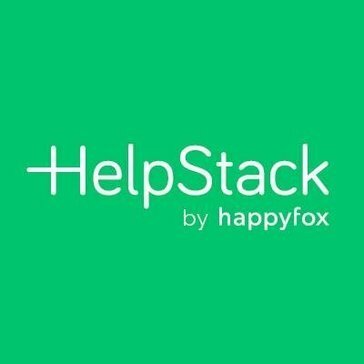 HelpStack is an open source iOS and android mobile app help desk that helps to interact with customers, provide in app customer support and solve bugs. 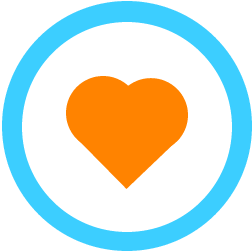 Helpy is a helpdesk system and open source. It views reports on how many tickets are coming in as well as the productivity of agents. 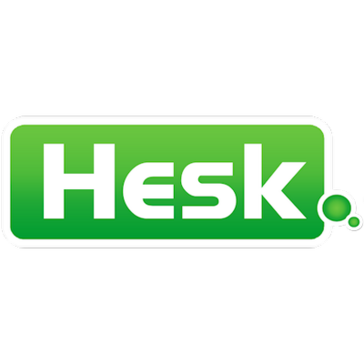 Hesk is a helpdesk, and customer support. It has features like centralized support system where you can organize, prioritize and track ticket category, ticket urgency and current status. A professional customer service tool for instant messaging channels. Hund is a hosted status page that automatically keeps the audience informed on uptime issues. Ihiji ServiceManager is a cloud-based SaaS solution that maximize business it set up, track, deliver and bill for remote managed services. Inbill allows customer service agents access customer billing info inside helpdesk, they can charge, refund, create or cancel subscriptions. InstantKB pulls together inbound questions from email, web, live chat, phone, Facebook & twitter to provide a single view of your support. iService is an integrated solution for managing all customer interactions with complete web-based interface, routes and automatically responds to customer email, provides a simple but powerful knowledge base, and includes a complete contact management interface. IssueCentre offers helpdesk solution with an online ticketing system. ITAM helps to manage support requisitions from users and monitor the performance of the support team through a web-based system which can be accessed from anywhere. Wouldn't it be nice to roll something out that users didn't rebel against - and then actually used after rollout? We have the solution: help desk software designed by IT help desk employees. JSupportDesk is a web-based support desk software. Katak-support is an online help desk solution for handling client requests through a web-based support ticket system. Keeping.com is help desk software that works through gmail. KnowAll Enquire enquiry tracking software from originating email to statistics, helping you to enrich the customer experience and track the enquiry through every stage of the enquiry handling process. Landpark Helpdesk provides tools fo helpdesk management and incident resolution. Liberum Help Desk is a help desk solution for small to medium IT departments and service providers. Logicalware is a low-cost multi-channel customer service solution which works by capturing inbound customer interactions from the web, email, and social media channels, Facebook and Twitter. Within Logicalware, these interactions are converted into actionable tickets and assigned a unique identifier for better tracking. A software to manage and control help desk, a SaaS app, works with ticketing system, SLA, reports, knowlodge base and many features. OfficeAmp makes it easy for office managers and admins to run an efficient workplace by giving employees a one-stop shop for all of their requests and questions. The PhaseWare Tracker product suite is a configurable B2B customer support software designed for and loved by technology and software companies. PhaseWare's fully configurable customer service and support solutions will help your B2B company manage, monitor, and measure critical customer service interactions. Quickly and completely resolve pressing customer issues, while delivering a consistent and engaging customer experience. Configure everything from your self-service portal, reporting dashboards, app-screens, terminology, and automated processes to fulfill your service goals. Invest in a product that works exactly the way you do. Polar Help Desk enables organizations to manage and deliver support servicesthrough a central web-based help desk portal. Q&A Software Engages Customers Better and Increases Online Sales! Build your business through increased sales by really engaging and understanding your customers with fully featured, beautifully designed Q&A software that integrates seamlessly with your website. Re:Desk is a customer service software for small business. It helps to organize support system from scratch, reduce customer support service workload and increase and control customer satisfaction. Remetrex PQ is a customer service software that helps to increase a company's productivity. ReplyOne is customer experience software that ensures companies achieve a high level of customer satisfaction in end customer trade, contributing measurably to maximizing cost-effectiveness and competitive capacity. With Request Manager you can manage and track requests across a departement or an entire organization. Requestor is a web application which will allow you to operate a help desk of small firms, as well as a service desk of multinational corporations. Revelation helpdesk is a 100% web based help desk solution that is so efficient it is like adding a virtual employee to your staff at a fraction of the cost. Through our transparent feature set and commitment to "ease of use," Revelation helpdesk delivers the power and flexibility to lift you up to the next level rather than stand in your way. Rolodesk is an android app for Freshdesk. It offers a simple dialer and SMS UI, designed to easily update and access tickets. RSTickets! Pro is a professional Joomla! HelpDesk ticketing system that has a high level of personalization and will meet all of your customer support needs. RTIM is a customer communications software that analyzes data and supports employees when interacting with the customer.